The migrations of many big game animals is cut short by Interstate 80. 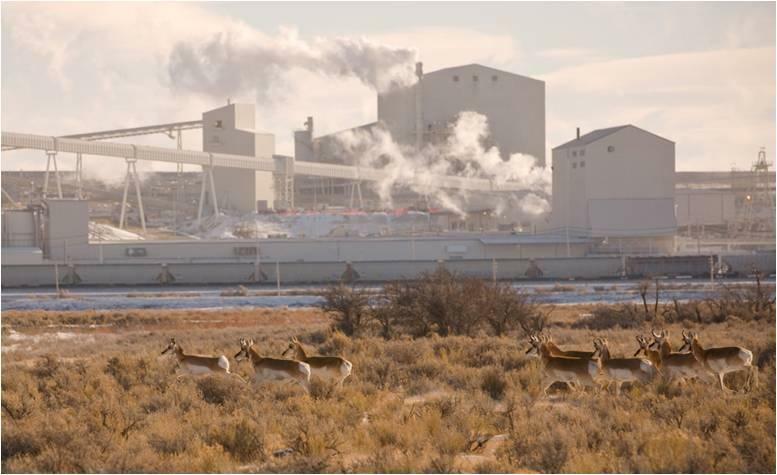 Why does everyone care so much about these Rock Springs mule deer? Because no matter what they've tried, the number of deer here keep falling. And because, for generations, it’s been a herd highly prized by hunters. So Monteith says it's time to figure out what’s wrong here. But there's been some hints it’s a long way off. 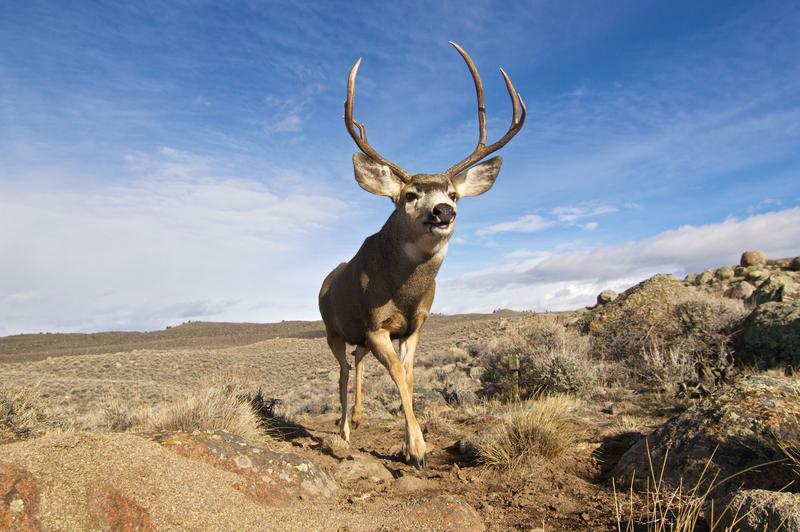 Last winter, a collared doe was tracked clear down to Vernal, Utah, 50 miles away. But she might have traveled even farther if it wasn’t for a very large block in her path: Interstate 80. Matt Kauffman knows a thing or two about migrations. He’s director the Wyoming Migration Initiative and recently helped discover that Wyoming is home to the longest mule deer migration in the world: 150 miles from the Red Desert to the Hoback Junction, north of Pinedale. He says, what mule deer are doing is following spring. What we're doing is we're focusing on individual animals and trying to tell their story. “We refer to that behavior as ‘surfing the green wave.’ These animals follow spring up the mountain on their migrations, always feeding in habitat patches that are just starting to green up. But they can't always surf that wave all the way to its crest. The problem is often human-made road blocks, like highways, fences, and subdivision. “When a migrating animal runs into a development or human activity,” Kauffman says, “what we're finding is that they speed up, they stop over less to feed and in some cases, they detour around developed portions of their route. And Kauffman says herds that can’t migrate in search of the most nutritious grasses just end up smaller in number, plain and simple. This is all big news for the Wyoming Game and Fish Department. They already have some protections for migration routes in the state, for instance, no more than four oil and gas well pads allowed in the migration corridor and zero development allowed in corridors narrower than a quarter mile. Banning hunting is a suggestion rarely voiced, and such talk worries Representative Albert Sommers. A migration route runs through his Pinedale ranch. He says the best way to get ranchers to help mule deer travel through their land is to collaborate, not regulate. “You know, we’re very paternal,” Sommers says. “We want to care for things, that’s what we do. We raise animals. And so I think that carries onto the wildlife. And so in this there’s a natural ally if you know how to explore it and don’t alienate [us]." He says the state needs to make it easy for ranchers: pay them to install wildlife-friendly fences, or pay them not to develop their land. Oil and gas spokesman Nick Owens with Anadarko agrees. He says his company supports existing wildlife protections, but if they go any further it could hurt their bottom line. Deputy Assistant Secretary of the Interior Jim Lyons says, the good thing is that Wyoming is doing what no other state has done before-- proactively protecting migration routes before deer abandon them. Out in the blizzard, the fog finally lifts. The helicopter appears and slowly lowers a mule deer doe, hanging in a large net, into the arms of the waiting scientists. They quickly blindfold her to keep her calm, then they start their tests: blood samples, body fat, heart rate. They even take a tooth to get her age. Wildlife biologist Kevin Monteith says, it's the dawn of a new era in wildlife management. With human development encroaching in the West, how that story ends remains to be seen. 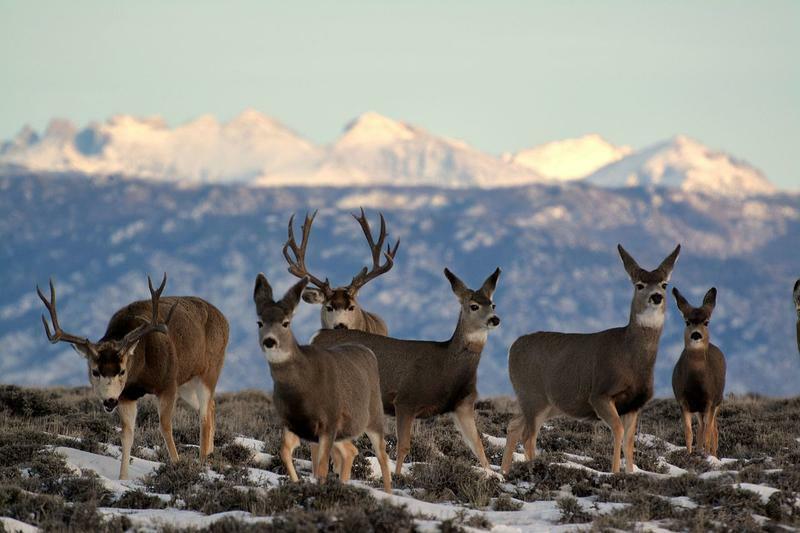 As mule deer populations decline, new research shows just how important migration routes are to the species’ survival. The Wyoming Game and Fish Commission met last week to discuss whether to make stricter recommendations to federal land managers about how to protect those migration routes. 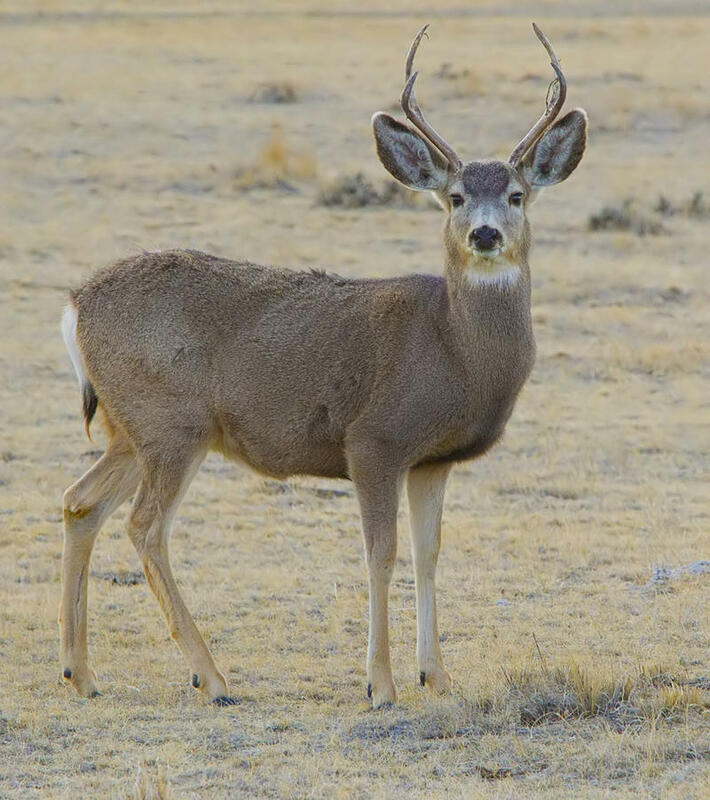 Wyoming Game and Fish Department spokesman Renny McKay says, one of the commission’s goals is to better identify where animals stop to graze and rest—and perhaps offer stronger protection to those areas.